The .gop top-level domain was given to Republicans by ICANN. Praying for a top-level domain. The Republican Party has received approval from the Internet Corporation for Assigned Names and Numbers for a .gop top-level domain. The domain comes as part of an effort to unify the party’s online resources and make it easier for people to identify official websites. The domain will be live in 75 days, but that’s nothing compared with the two years the party spent applying and waiting for a decision. ICANN started approving proposals in July 2013, and though it doesn’t seem like the process would be very stressful, other applications have been denied because of overlap. Not everyone agrees, though. Jim Messina, President Obama’s 2012 re-election campaign manager, told USA Today, “It’s just another thing in the toolbox to use to reach out to folks. As a campaign manager, all you want is more tools, and I think this is a really interesting one.” He said he was “pissed” that Democrats weren’t trying to get their own top-level domain. 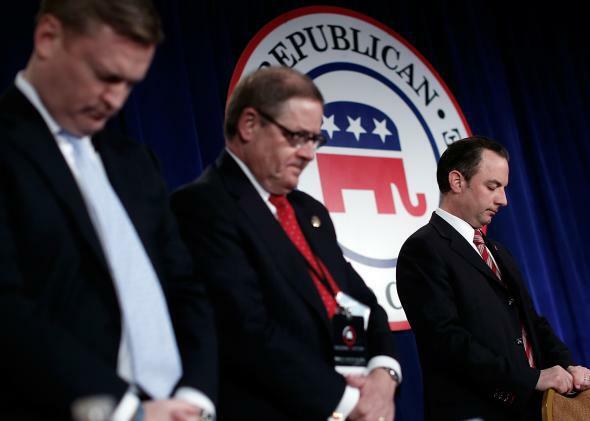 As the first political party with its own top-level domain, the GOP is makin’ moves. Internet moves.